Music is an important ministry in our churches. It requires dedication to rehearsal times as well as scheduled Mass assignments. Music is a rewarding and uplifting ministry. Choir members and accompanists form a bond while working together to provide the best music possible that assists the congregation in their song. Although it is not necessary to read music, an ability to "carry a tune," work well with others, and follow the choir director's guidance is important. As music ministers, we need to remember our ministry is to assist the congregation in their prayer through music. Musicians are not performers, but part of the community offering their talents as encouragement. The music leadership for Sunday Mass varies at St. Mary's Parish. Three groups provide encouragement to parishioners to participate in offering songs of praise, thanksgiving, and meditation to our God. The Traditional Choir is under the direction of Ian Dorsch with Joy Dorsch and Dixie Miles. Karen Russo is the accompanist. Ian directed the GH Civic Choir for 8 years, from Fall 2005 - Spring 2013 and both Joy and Ian teach Applied Voice at GH College. The choir leads music at St. Mary's 9:00 Mass on the 2nd and 4th Sundays of the month. The Contemporary Choir provides leadership on the first Sunday of each month. The choir rehearses on Wednesdays at 6:15 p.m. in St. Mary's Church. If you are interested in joining the choir, you may email Britta Folden at britta.folden@gmail.com for more information. The OLGH Men's Choir sings at St. Mary's the 3rd Sunday of the month. Our Lady of Good Help also has a variety of music leadership for the two Masses at OLGH. The 11:00 a.m. Sunday Mass music ministers are the OLGH Men's Choir, under the direction of Pat Hubble, on the 1st Sunday. Rehearsals are Thursdays at 6:00 p.m. Please contact Pat Hubble or Bill Gibbons, if interested in joining the group. On the 4th Sunday of the month Pat Hubble, ordinarily, will lead music. 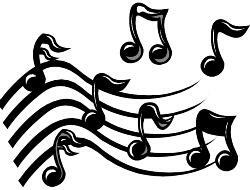 The 2nd Sunday music ministers are Chris Doyle and Karen Russo, and the 3rd Sunday is the St. Mary's Contemporary Choir under the direction of Britta Folden. The 5:00 p.m. Saturday evening Masses at OLGH vary, also. The 1st and 4th Saturdays have no music at this time, the 2nd is the newly-formed Youth Choir, and the 3rd is the Filipino Choir under the direction of Eric Jackson. Any students who would like to join the youth choir may contact Judy Folden at 360-593-0887 or leave a message at the regional parish office. If you are interested becoming a music minister at those times when there is no music currently provided, please contact Judy Folden. Music directors need a background in music and liturgy in order to provide good leadership. There are workshops available through the Archdiocese as well as support, direction, and education through the parish. The St. Jerome Choir meets Thursdays, 7:00-9:00 p.m. The Choir sings at the 11:00 a.m. Sunday Mass every other Sunday and for special feast days. Gini Schuster and Cora Lee Durkin serve as volunteer director/accompanists. Pen Hale also accompanies with acoustical guitar. All are welcome to participate in this ministry. No auditions necessary, only a willingness to practice and participate in the music liturgy of the Mass. Peggy Hakanson, Gini Schuster, Jack Schuster, Cora Lee and Ed Durkin volunteer as cantors for the 5:00 p.m. Saturday Masses and the Sunday Masses alternating with the Choir. We are always looking for new musicians who wish to sing and play for the "Glory of the Lord!" At Saint Paul, Westport, the choir consists of three people – Chris Anderson, as leader, Vriana Villela, and Barbara Hinkley with accompaniment from Karen Russo on two Sundays a month. Rehearsal is on Sunday morning, one hour prior to the 9:00 a.m. Mass.